Bishop & Brogdon is a widely respected manufacturers’ rep firm, which boasts of its successful operations since 1954. Have an exclusive view of our coveted list of manufacturers that we have established over 60+ years in the industry. As we move into our 4th generation as a company, we are setting our expectations even higher. Download our Mobile App Today! Once you have downloaded our Mobile application, make sure to share your experience with your colleges and spread the word! Bishop & Brogdon is a widely respected manufacturers’ rep firm, which boasts of its successful operations since 1954. 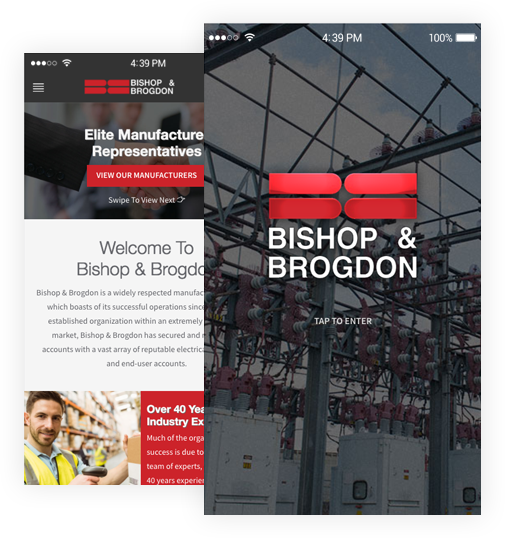 As an established organization within an extremely competitive market, Bishop & Brogdon has secured and maintained accounts with a vast array of reputable electrical wholesalers and end-user accounts. Bishop & Brogdon App Today.